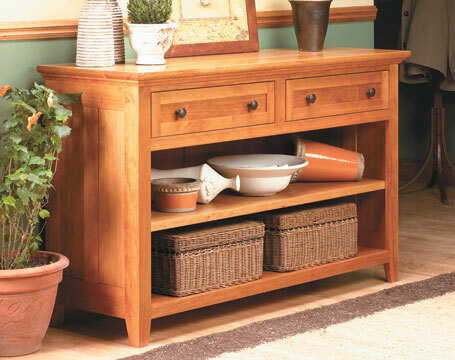 Woodworking project plans for dining room tables, chairs, hutches and buffets, kitchen cabinets, and more. This table is the real deal. 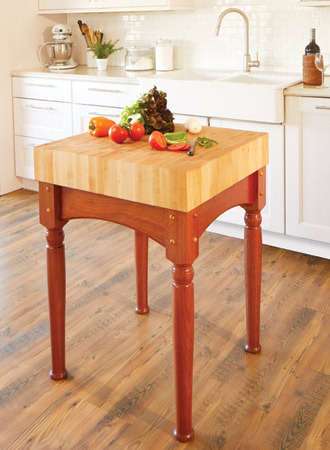 The end-grain top is designed to take the blows and slices from your finest knives without damaging them. 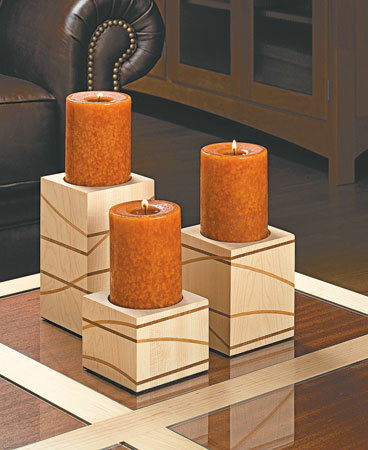 Create two different candle holders using contrasting accent strips and the same band saw technique. 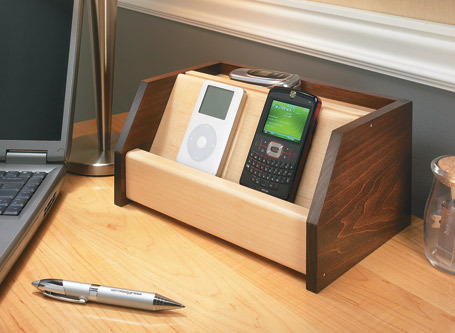 This handy caddy for electronic devices gives easy access to cords but keeps them out of sight and free from becoming a tangled mess. 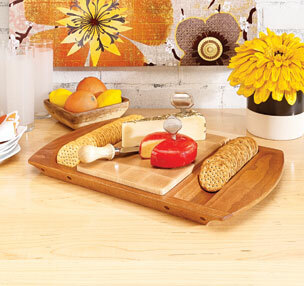 This wood tray and cutting board are sure to be a hit at your next party. Packed with fine details, they’re as fun to build as they are to use. This project gives you a variety of woodworking techniques with easy-to-build frame and panel assemblies, face frames, and drawers. 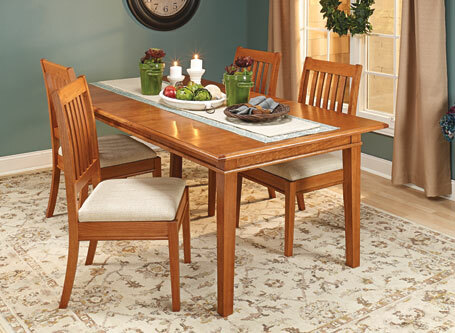 This elegant table is sure to be a worthy centerpiece for your family gatherings for generations to come. 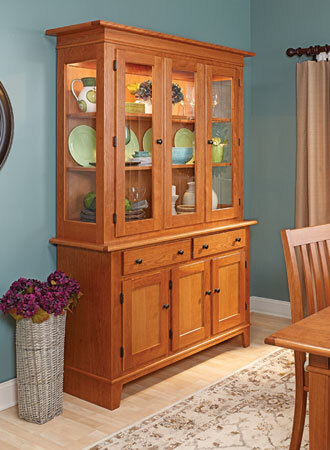 Every dining room set needs a great place for storing dinnerware, and his elegant cherry hutch provides the perfect solution. 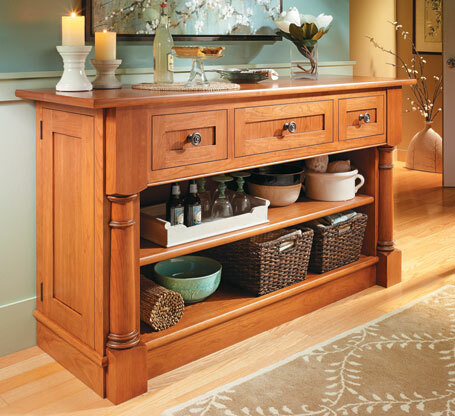 This classically styled cabinet is guaranteed to become the focal point of your dining room, or any other room in the home. 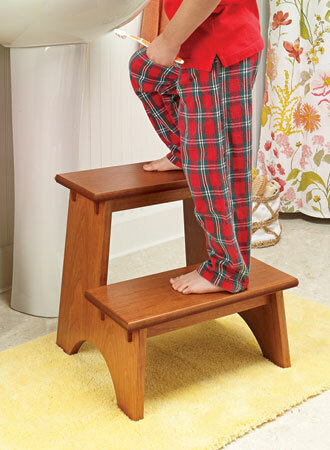 With its solid construction and practical design, this project is sure to be the most useful piece of furniture in the house. 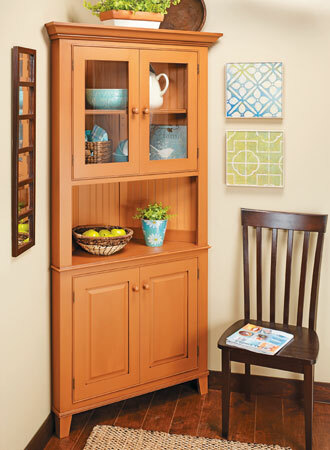 Dress up any room with a classic corner cabinet for some handy storage and an attractive display space. 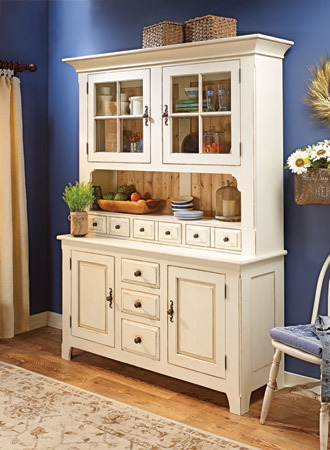 If your style leans toward the down-home, traditional look of country furniture, then this heirloom hutch is the perfect project. 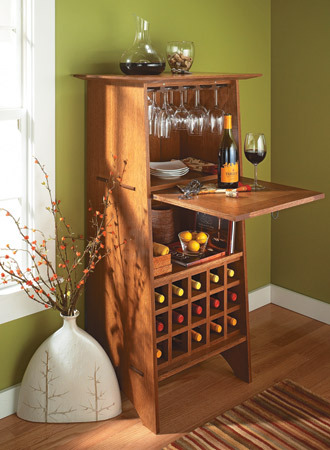 Host your friends in style with this elegant and functional wine server.